The Scots Pines, remnants of the native Caledonian Forest on Halliburton hill in Perthshire. 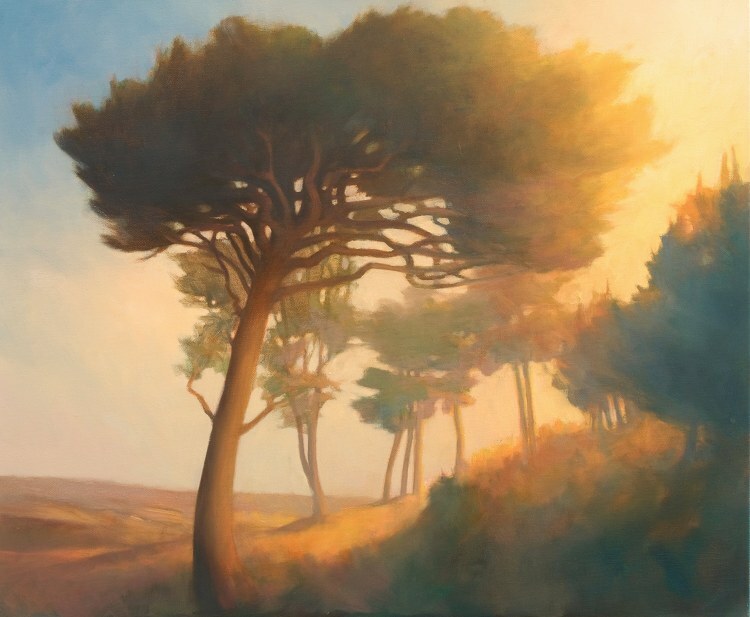 This work was based on the outdoor oil study (shown below) as I tried to take the outdoors image just a bit further as an artwork. 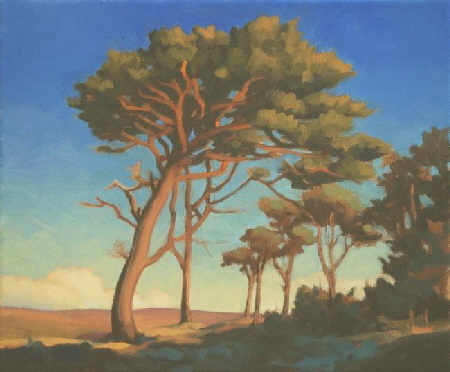 Outdoor study of a group of Scots Pines in a bright low winter sun which threw strong colour back from whatever it illuminated. Drawn out in pencil first and then painted fairly directly with opaque oil paint. Worked on later in the studio to develop the image. It didn’t half get cold when the sun dropped down behind the hill. Just so’s you know... it’s a hard life. 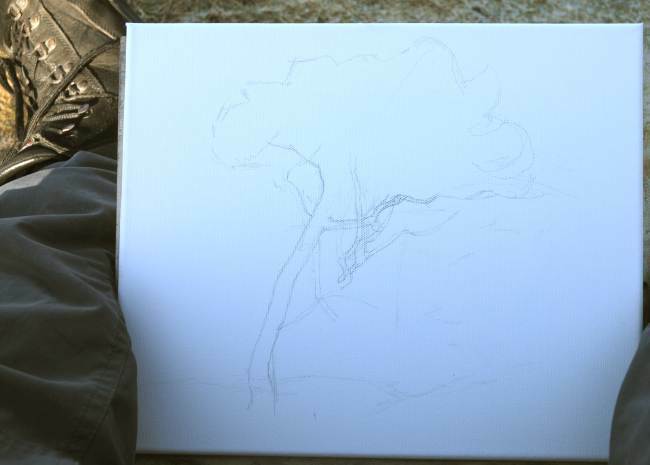 I usually paint directly when working outdoors without any prliminary drawing, but I felt that the specific shapes within these trees were too good to risk losing so I started with a pencil sketch. 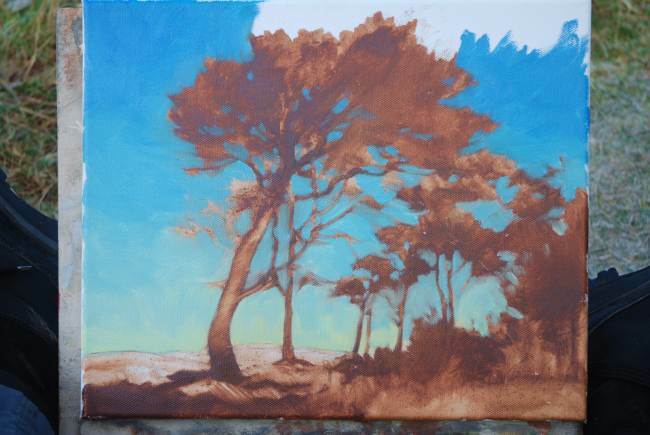 This is the first stage of painting - using thinned down oil paint to define the forms and a fairly thick mix used to “cut in” the rest of the canvas, establishing the sky.